Get this product at -25%. Versatile formula that allows you to develop wonderful curls without damaging the hair structure. Benefiting the silkiness, the shine and the integrity of the hair. Made with Amino Acids Blend, Seaweed Extract and Coconut Oil, it promotes nutrition, hydration and revitalization of the threads. 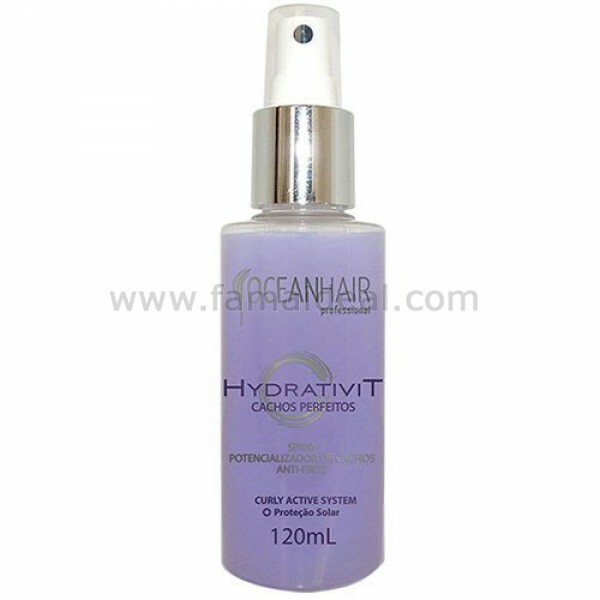 Its formula enhances and defines the curls, reducing frizz and leaving the curly hair behaved and soft. Made with Silk Protein, Grape Seed Oil and Sunscreen assigns extra protection and intense shine. The idea of ​​OceanHair began in 2003, when two young entrepreneurs, with experience and market perception, saw in this segment, a way to bring to the hairdressing professional innovative products with technology and the differential that the market needed. It was in 2010 that OceanHair has become a reality, providing salon professionals with a complete line of products that provide a new experience in hair care and treatment. Its products are developed in one of the most advanced cosmetics laboratories in Brazil, where sophisticated assets and innovative technology are found, to create products that provide solutions for diverse needs of hairdressing professionals, always with the best standard of quality and safety requirements. . All this, together with great attention and support, has made OceanHair Professional a complete and competitive company in the world market.